Welcome to the Marion County Online Premarital Preparation Course. Avoid the three day wait requirement and save $32.50 on your marriage license in Marion County. 1. Elegant Oaks Inc – Ocala, FL. 2. Hilton Ocala – Ocala, FL. 3. Jumbolair Weddings – Ocala, FL. 4. 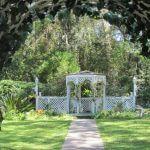 Oakbrook Wedding Garden – Ocala, FL. 5. Wayside At Cottom Farm – Weirsdale, FL. Due to the amount of time it takes our clerks to process an application for a marriage license, paperwork is required to be filed by 4:30 PM in order for your application to be completed by 5:00 PM.